After almost a year of being available on iOS, Google’s Motion Stills app has finally come to Android. The app is compatible with Android devices running v5.1 and above. The app can take two types of shots. The first is ‘motion still’ lets users create looping GIFs that are stabilised against shakes. The other mode is called ‘Fast Forward’ that lets users consense long videos into a short clip that is fast forward, which makes it easier to share. "With Motion Stills on Android, we built a new recording experience where everything you capture is instantly transformed into delightful short clips that are easy to watch and share. 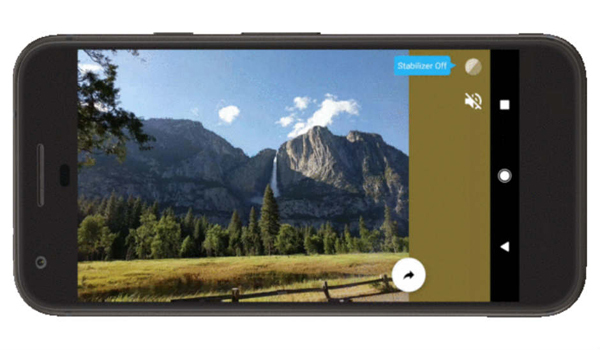 You can capture a short Motion Still with a single tap like a photo, or condense a longer recording into a new feature we call Fast Forward," Google notes in its official blog. For stable Motion Stills, the company notes that it uses its algorithms to compute and store the necessary stabilising transformation as a low-resolution texture map. This is used to apply stabilisation using the GPU in real time. The company says that this method does not put too much pressure on the mobile hardware and battery as compared to writing a new stabilised video. The final GIFs can then be shared via social media. The Fast Forward mode can process up to a minute of video on the phone and users can choose a playback speed ranging from 1x to 8x. In order to do so, Google says that it encodes a denser I-frame spacing to enable efficient seeking and playback. The app works without an internet connection and also comes with algorithms that guard against pocket shots, and accidental camera shakes.